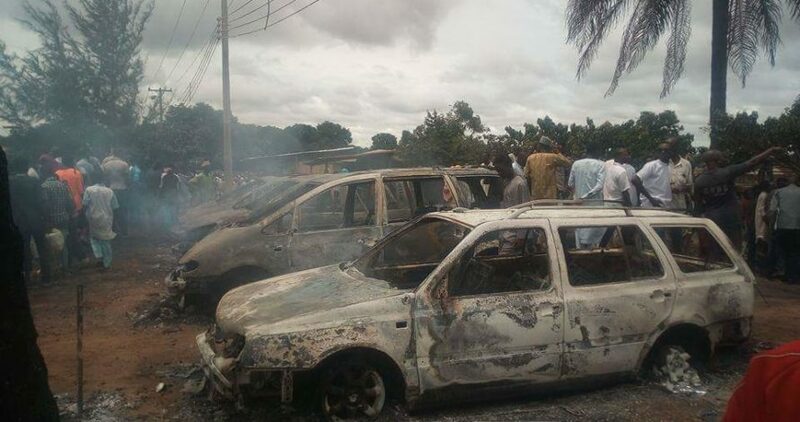 A gas explosion on Monday at Monaco Gas filling station in Lafia, Nasarawa has reportedly left at least 2 persons dead and over 50 receiving treatment for various degrees of burns at the Dalhatu Araf Specialist Hospital. The explosion is believed to have been caused by a gas leakage which made contact with the exhaust of commercial motorcyclists setting over 20 ablaze in an instant as cars on the road also caught fire burning the occupants. Sector Commandant of the Federal Road Safety Commission (FRSC), Faustina Alegbe,who confirmed the development said that two persons have been confirmed dead out of the 37 casualties in the explosion, adding that FRSC personnel evacuated all affected persons to the hospital for medical attention. Governor of Lagos, Akinwunmi Ambode has dismissed speculations about his defection from the All Progressives Congress (APC), following his purchase of nomination forms on the platform of the ruling party. In a related development, Governor Abdul’aziz Yari of Zamfara has declared his intention to contest for Zamfara West senatorial seat ahead of the 2019 general elections. The Chairman of the Nigerian Governors Forum (NGF), who announced this when he spoke to newsmen in Gusau on Monday, said he was contesting for the seat because of the interest he has in the legislative process, and to serve his people. The Senator representing Plateau Central Zone in the National Assembly, Joshua Dariye, currently serving a 14-year jail term, has allegedly purchased the All Progressives Congress (APC) nomination form to return to the Senate in 2019. “Just to notify all [teeming] supporters of our amiable Senator Chief Dr Joshua C. Dariye, that the people’s senator has purchase & [filled] the APC nominations & declaration of interest to contest in the forthcoming APC primary election & 2019 general election to represent the good people of Plateau Central in the Ninth Assembly,” the post read. South African telecoms giant, MTN Nigeria has on Monday filed a suit against the Central Bank of Nigeria (CBN) and the Attorney-General of the federation seeking an injunctive relief to protect its assets and shareholder rights. According to a statement by the Corporate Relations Executive of the firm, Tobe Okigbo, “The simple reality is that MTN Nigeria has never repatriated dividends on the CCIs referenced by the CBN and that MTN is fully compliant with Nigerian tax law. The Federal Inland Revenue Service (FIRS) says it has identified more than 6,772 billionaires’ tax defaulters whose bank accounts have been screened. He further noted that most of such taxpayers, who have between N1 billion and N5 billion in their accounts have no Taxpayer Identification Number, TIN, or have TIN and have not filed any tax returns as taxpayers. “There are over 6,772 of such defaulting billionaire taxpayers that have been identified by the FIRS, leveraging on banks data,” Fowler said.